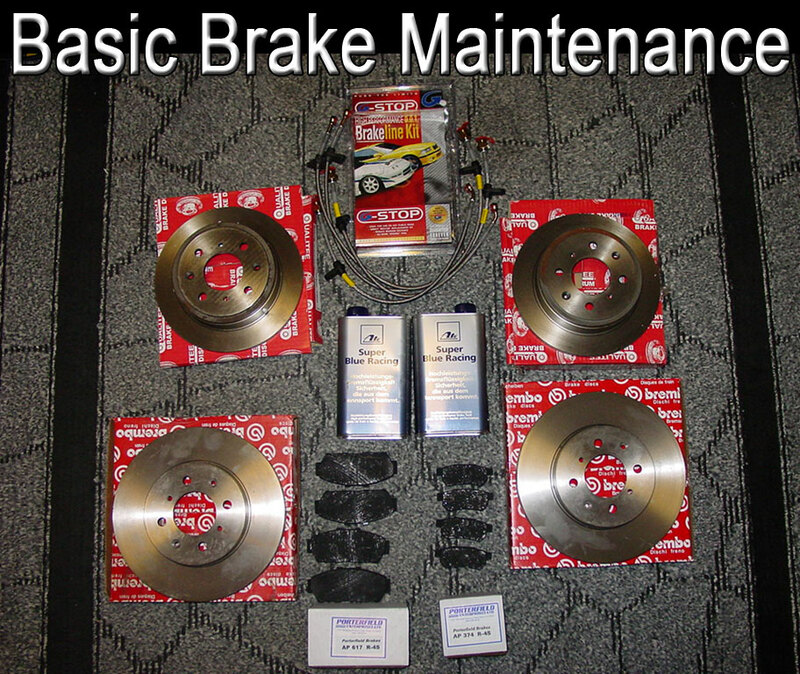 You can save a great deal of money if you can take care of your brakes on your own. Honestly, there isn’t much to it. 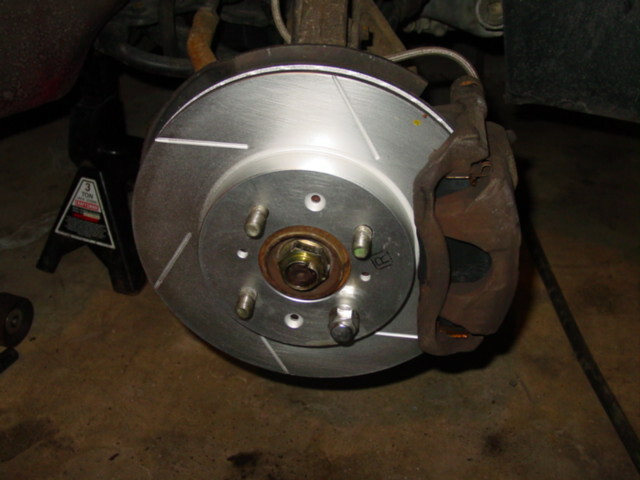 Personally, I prefer to change the rotors along with the pads. 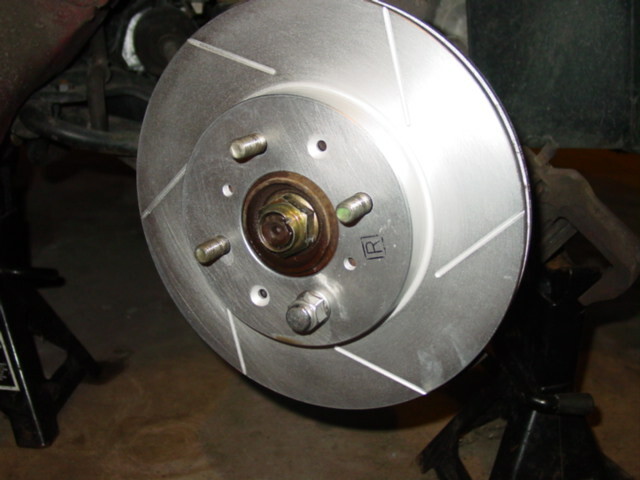 You can find inexpensive rotors are at your local auto parts store. 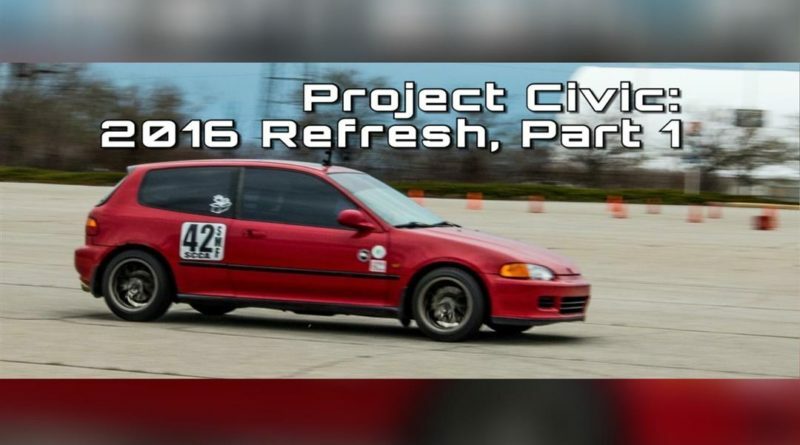 Note: I’ll be discussing brake maintenance for a Civic. 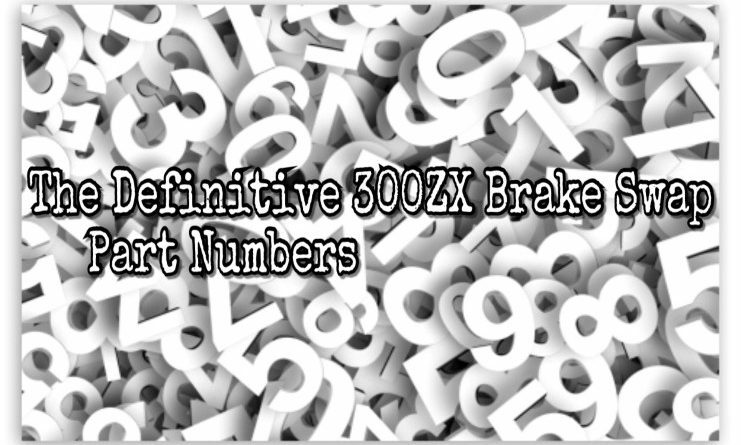 The procedure will be correct for most automobiles where the differences will be minimal. 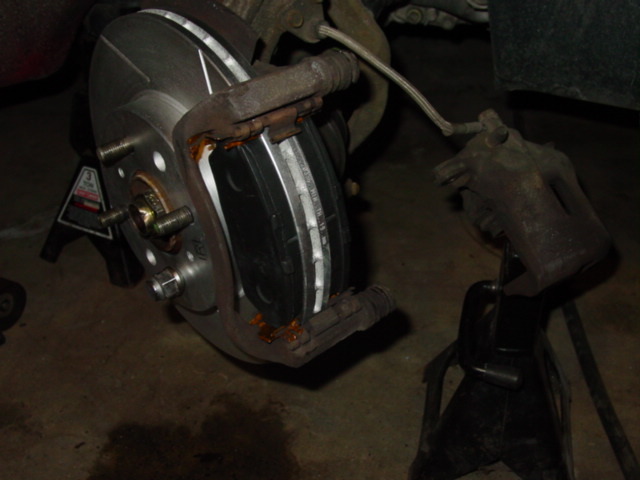 My experience with drum brakes is very limited, so I won’t be discussing them. Start by raising and securing the vehicle. Turn the steering wheel so that the caliper faces you. 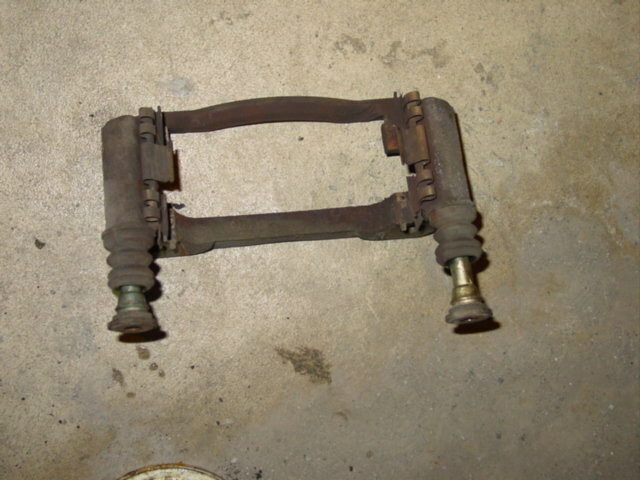 Remove the bolts for the outer part of the caliper and then remove the bolts for the inner caliper. Separating the two halves will make it much easier to compress the piston and set the new pads. 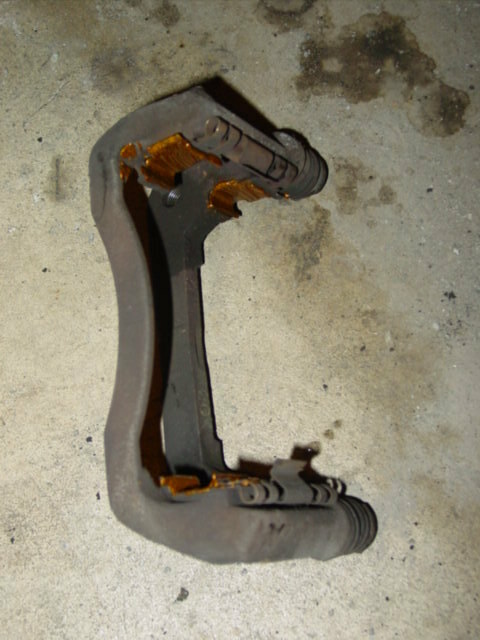 Virtually every vehicle made has calipers that are similar in design. You need to check a service manual to determine the specific method of removal. With the caliper sections removed, take a moment to lube any slider pins that may be present. Make sure the dust boots are in good shape. If the boot is torn debris can contaminate the grease, causing the pins to lock up and therefore render your brakes useless. Pull back the rubber seal and check for cracks. Clean the pins and apply high temp grease before reinserting them. 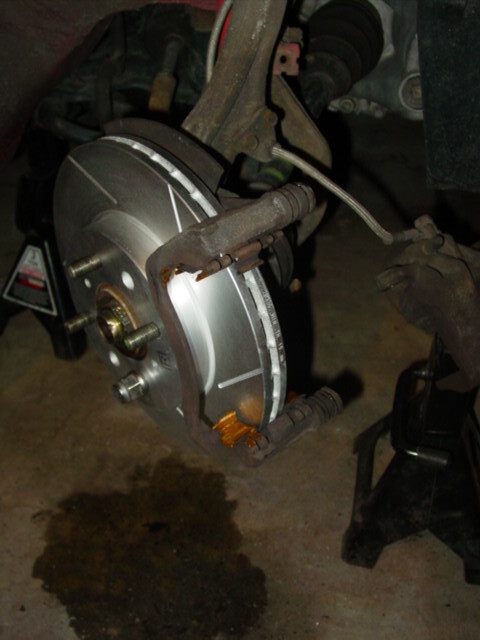 Before setting the inner caliper aside, apply some anti-seize or anti-squeak lube to the pad contact points. 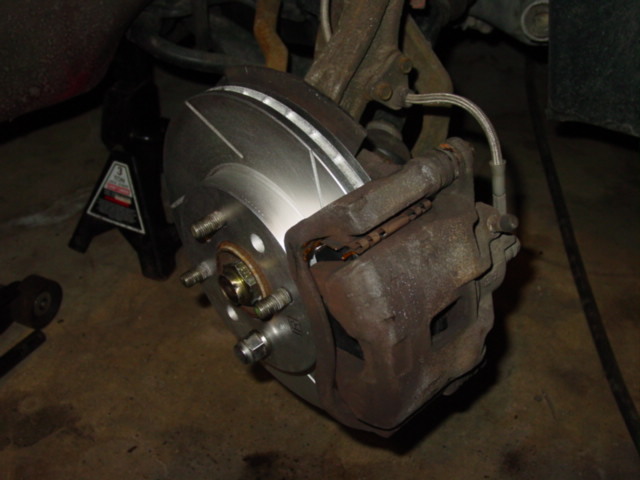 This will help reduce any brake squealing as well as keep the pad from seizing to the caliper. 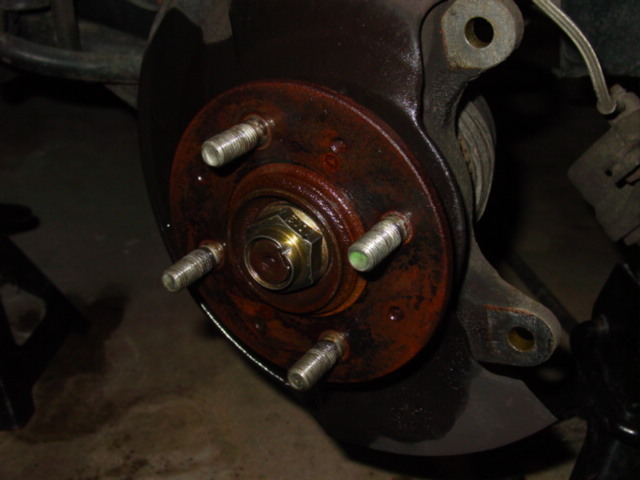 Remove the rotor and spray the hub with brake cleaner to remove any debris. You may need to remove any rotor retaining screws using an impact driver (found in my special tools section) Once you remove the retaining screws, just throw them out. Slide on the new rotor and use a lug nut to hold it in place. 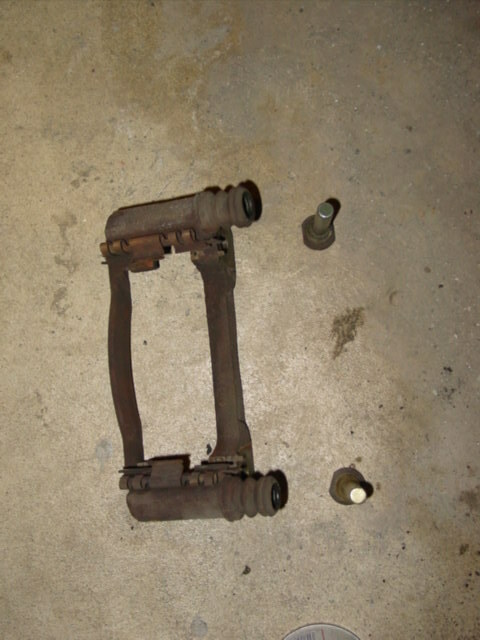 Reinstall the inner caliper bracket. Slide the new pads into place. You will need to compress the piston before you put it back on the inner caliper. This can be done with a large pair of channel locks, a vice, or specialty compressing tool. 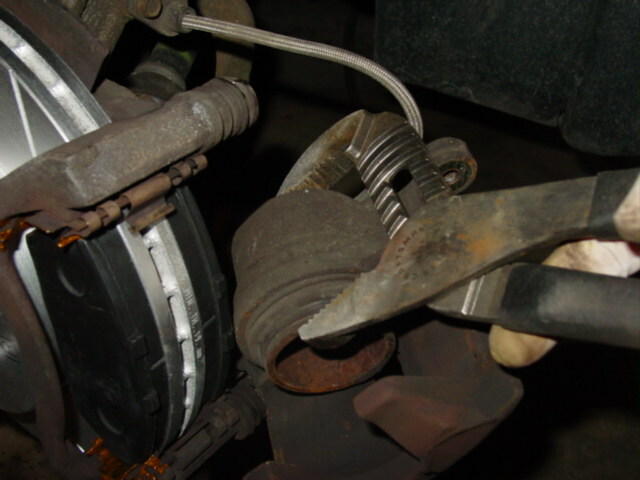 It may also be necessary for you to keep an eye on the brake fluid reservoir and make sure that it does not overflow. NOTE: Rear disk brakes are a bit more difficult to compress. This is where more significant differences can be found between manufacturers. 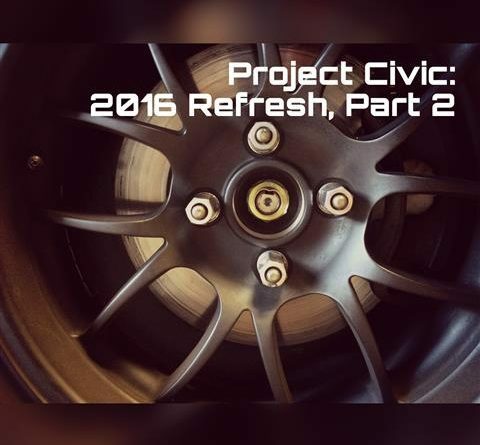 For civic rear brakes, you can use either a specific tool designed for rear disk brakes or use a pair of hefty needle nose pliers. You need to turn the piston clockwise while you push. A bit of spray lubricant is recommended to help free up the piston and prevent tearing the seal. 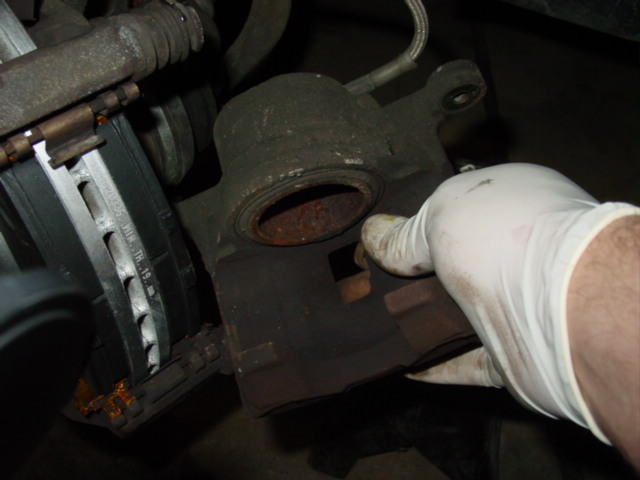 Most Mazda’s require you to remove a small access plug on the back of the caliper and back out the piston with an allen tool and then adjust once the new pads have been installed. A large pair of channel locks can be used to compress the piston. Compress the piston until it is flush with the caliper. 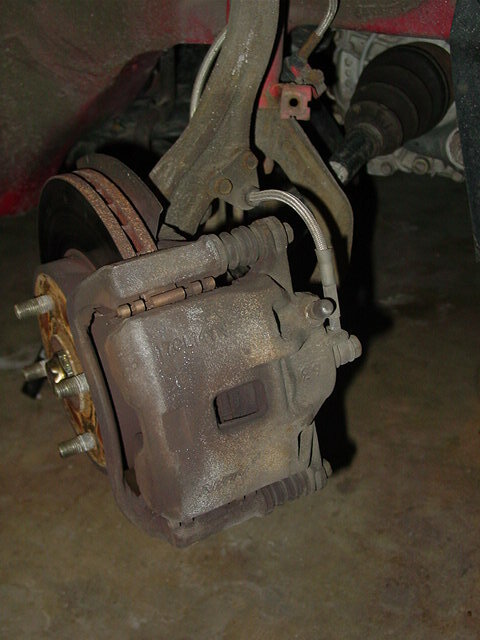 With the caliper compressed, set it on the inner caliper and replace the bolts. At this point, you can step back and check out your good work. Double check to make sure that you have tightened all of the bolts. 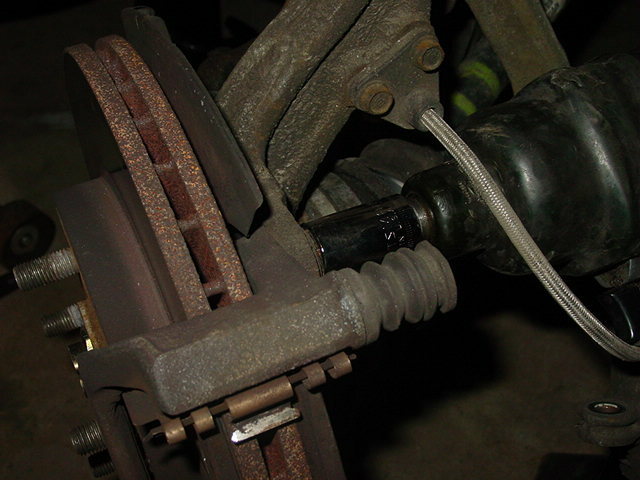 Before you go to test your new brakes, make sure to depress the brake pedal several times to push the pistons back out. 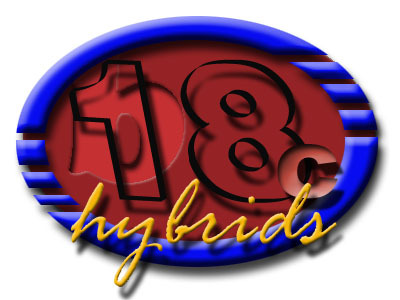 Brake bedding depends on the manufacturer’s specific instructions. Typical street pads require an period of 200 miles or so of easy driving. More performance oriented pads may require a more aggressive bedding procedure where track specific brakes need a rather abusive process for proper bedding. 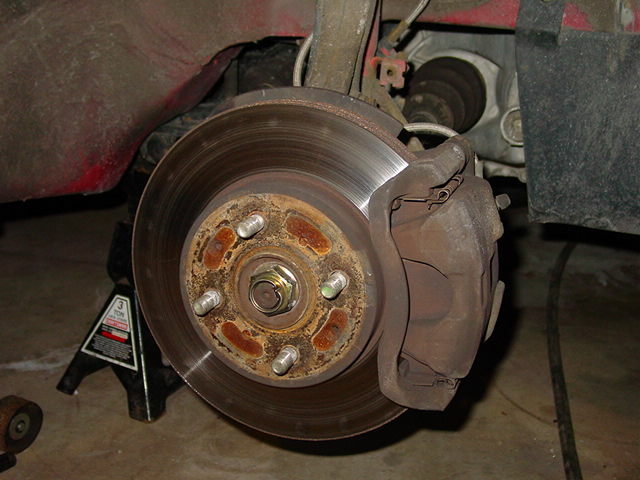 Your brakes’ performance, longevity and reliability is dependant on proper bedding. Please follow the directions carefully and be safe!